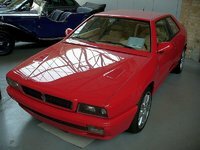 Looking for a New Maserati Ghibli in your area? CarGurus has 108 nationwide Maserati Ghibli dealers with 4,970 new car listings. Maserati introduced the Ghibli sedan in 2014 as an entrant to the highly competitive midsize luxury sedan class. The 2014 Ghibli had a distinctive look, a turbocharged 6-cylinder offering up two different power outputs, and impressive luxury appointments. For the 2018 model year, Maserati refreshes the smallest sedan in its lineup. Maserati continues to offer, Base, S, and S Q4 Ghbili variants with slight design changes, including new bumpers, LED headlights. New for 2018, Maserati is offering two sub-models, the GranLusso and the GranSport. The GranLusso focuses on comfort, whereas the GrandSport reflects a more aggressive character. Maserati further refines the Ghibli’s luxurious interior for 2018. The GranLusso sub-model adds Ermenegildo Zegna Silk upholstery and special Radica wood trim, and the GranSport sub-model swaps the standard seats for sport seats and steering wheel. The Ghibli’s front seats strike a nice balance between comfort for long trips and support during aggressive driving. Narrow door openings may make getting in and out of the back seat more difficult, but head- and legroom are average for midsize luxury sedans. The trunk nears the top of the class with 17.6 cubic feet of space on offer. The 8.4-inch Maserati Touch Control Plus infotainment system gains Android Auto and Apple CarPlay compatibility for 2018. All Ghiblis are powered by a turbocharged 3.0-liter 6-cylinder engine. In the base Ghibli, the engine produces 345 horsepower and 369 pound-feet of torque. Power increases to 424 horsepower and 428 pound-feet of torque with the Ghibli S and S Q4. An 8-speed automatic routes power to either the rear or all four wheels, and 0-60 mph times range from 5.5 seconds for the Ghibli to 4.7 seconds for the S Q4. Estimated fuel economy figures for the 2018 Ghibli stand at 17 mpg city, 24 highway, and 19 combined for the base Ghibli, and 16, 24, and 19 for the S and S Q4. The Ghibli suspension is comprised of a double-wishbone setup in the front and a five-link setup in the rear. This may cause unsettled rides over rough surfaces but can be fixed by optioning the Skyhook adaptive suspension. Reviewers have praised the Ghibli’s hydraulic steering system for providing direct feedback during enthusiastic driving. For 2018, Maserati switched to an electric system to improve fuel economy, garnering mixed reviews. Some report the system gives a better amount of weight and direct feedback, others say the steering loses the road feel that was present on the old system. Standard safety equipment on the Ghibli includes a full set of airbags, traction and stability control, anti-lock brakes with brake assist, blind spot monitoring, and a reversing camera. An optional Driver Assistance Package brings forth adaptive cruise control with stop and go functionality, surround view camera system, lane keep assist, forward collision warning, and traffic sign recognition. Pricing for the 2018 Maserati Ghibli begins at $73,780. What's your take on the 2018 Maserati Ghibli? 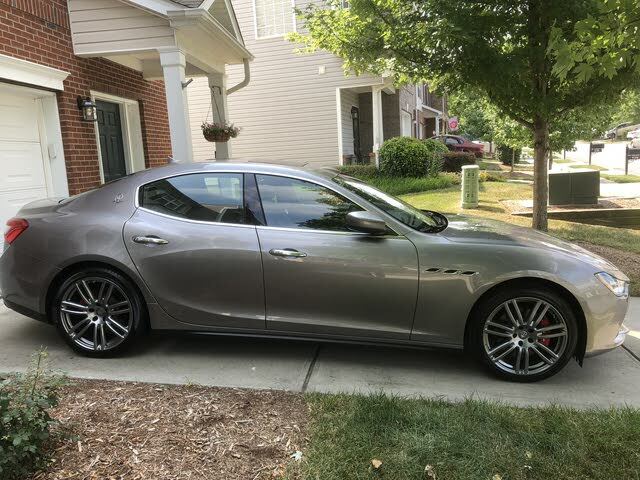 Have you driven a 2018 Maserati Ghibli? Enter your zip to see incentives for a new Ghibli in your area. CarGurus has 3,479 nationwide Ghibli listings starting at $22,000.